Click images below for the full, larger view. 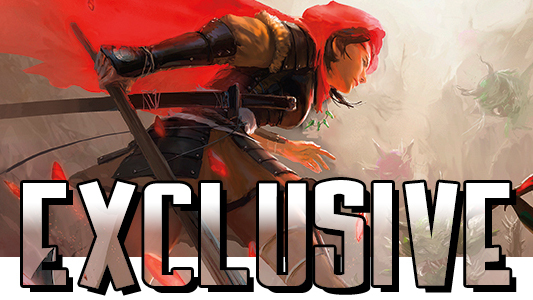 American McGee’s re-envisioning of Red Riding Hood takes shape as this all-new story. The brave young warrior, Kani battles a gauntlet of fantastic mythical beasts inspired by Japanese folklore. However, things are not what they seem, and danger lurks where Kani least expects it! Master assassin Amala makes a startling discovery about her latest target that will change her life forever! And Amala’s day turns full of surprises when she’s thrown into an abandoned subway to face a Modifier monstrosity! While recovering from their most traumatic personal challenge to date, Conan and Bêlit seek respite in a mystical journey of the mind. Instead, they uncover the dark truths that they’ve hidden from themselves and each other. Weakened by Xaltotun’s spells and imprisoned in a foreign land, Conan has lost his kingdom—and could lose much more! His only hope for escape is a mysterious, enamored harem girl named Zenobia. In an underground dungeon filled with slavering horrors, Conan and his future queen must fight for their lives! “The Futurist” concludes, as Lyme faces the Immortals in a battle royale at Shangri-la! Meru discovers the secrets of the Monks—and her own! The origin of the Hulk reaches its explosive finale! Plus more, in the comic gives you your money’s worth!